If I could have one wish in video game land it would be that the creators of BATMAN: ARKHAM CITY would make a Resident Evil game! 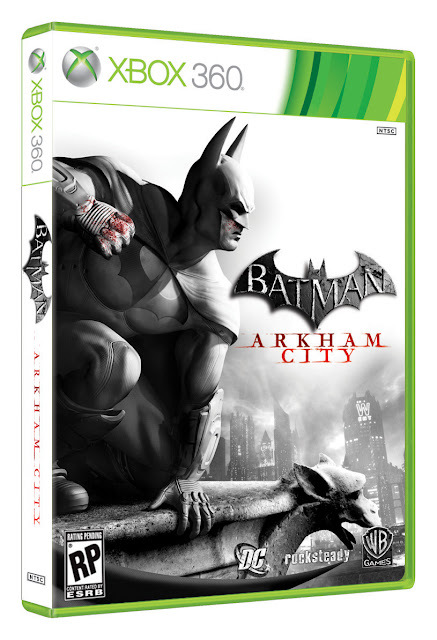 I really enjoyed Batman: Arkham Asylum and was looking forward to getting my hands on Arkham City and let me tell you that I was blown away and shocked by this sequel! Everything you loved about the first game is back for the second, all the gadgets that you have come to rely on are at your disposal from the start. But be warned now that the AI has been improved and now the thugs and villains stalk you with night vision and destroy the holds for your grappling hook. My advice is to take your time and look at all the details that go into Batman: Arkham City. Everything from design to voice overs are as close to perfect as a game could be. Multiple side missions will lead to almost every main Batman villain from the comics and the campaign mode is amazing in itself. This game is as close to perfection as this reviewer has ever seen or played. 5/5 You can order the game below for your gaming system!